Protection for you and your family. That’s what having a union is all about. One of the ways your CSEA membership protects you is by offering many optional insurance plans at low group rates, often with the convenience of payroll deduction, through our partnership with Pearl Insurance, formerly known as Pearl, Carroll & Associates. Throughout CSEA’s Central Region, we have several professional insurance representatives who will come out to your work site or the location of your choice to meet individually with members or in groups to review your coverage needs. 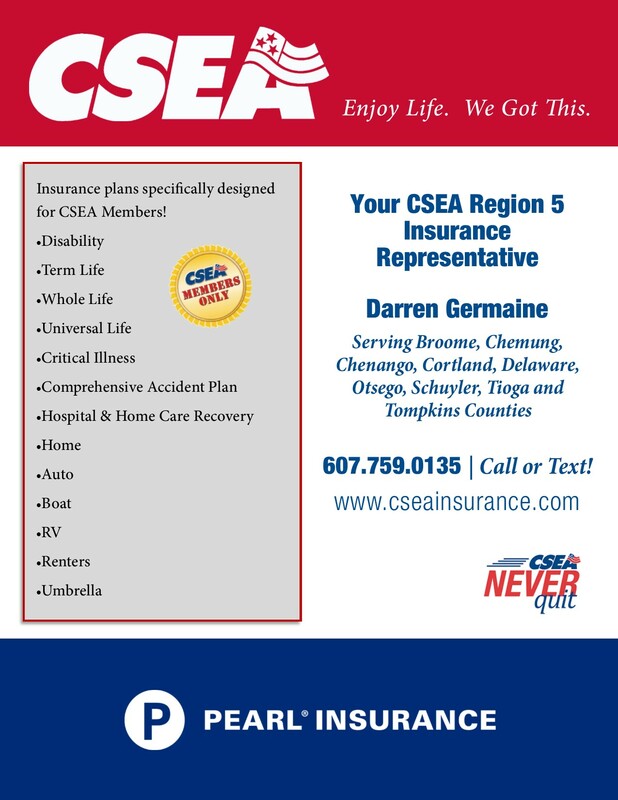 To find the local agent for your area or for more information, visit www.cseainsurance.com. Remember, like many of our union’s array of benefits, CSEA’s sponsored insurances are for CSEA members only.